It's not always fun speaking "geek"—but when it comes to making business decisions for your brokerage, it's good to know how software integration plays a role. What does it mean when software is "plugged in?" How does software integration work? Why is it a big deal, anyway? And what happens if it isn't there? Then this handy reference guide will help answer your questions—without you needing to go digging for answers. "Nearly 50% of brokerages spend an hour processing a transaction. Using an integrated software system can save up to $9,000 per year just on transaction management." 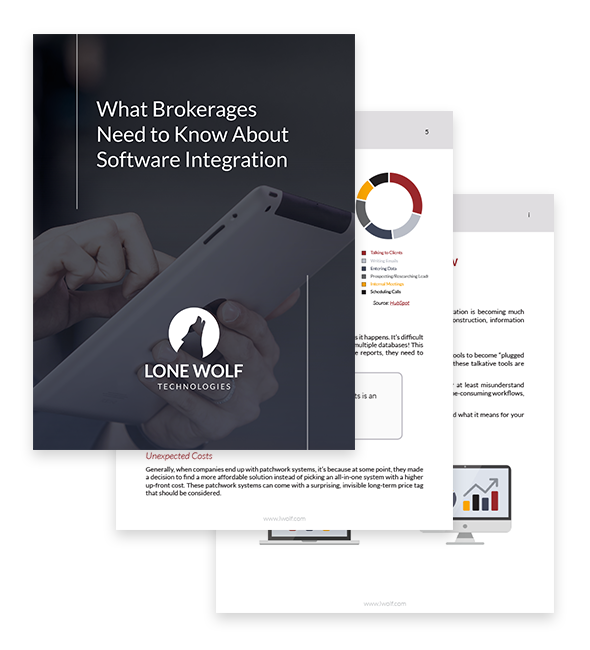 Ready to read up on what software integration is, and what it can do for your brokerage? Fill out the form to download your whitepaper today!